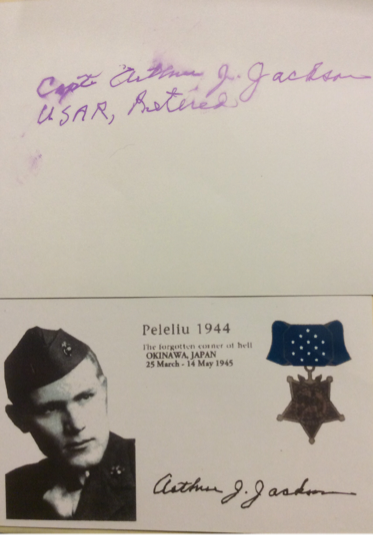 For conspicuous gallantry and intrepidity at the risk of his life above and beyond the call of duty while serving with the Third Battalion, Seventh Marines, First Marine Division, in action against enemy Japanese forces on the Island of Peleliu in the Palau Group, September 18, 1944. Boldly taking the initiative when his platoon's left flank advance was held up by the fire of Japanese troops concealed in strongly fortified positions, Private First Class Jackson unhesitatingly proceeded forward of our lines and, courageously defying the heavy barrages, charged a large pillbox housing approximately thirty-five enemy soldiers. Pouring his automatic fire into the opening of the fixed installation to trap the occupying troops, he hurled white phosphorus grenades and explosive charges brought up by a fellow Marine, demolishing the pillbox and killing all of the enemy. Advancing alone under the continuous fire from other hostile emplacements, he employed a similar means to smash two smaller positions in the immediate vicinity. Determined to crush the entire pocket of resistance although harassed on all sides by the shattering blasts of Japanese weapons and covered only by small rifle parties, he stormed one gun position after another, dealing death and destruction to the savagely fighting enemy in his inexorable drive against the remaining defenses and succeeded in wiping out a total of twelve pillboxes and fifty Japanese soldiers. Stouthearted and indomitable despite the terrific odds, Private First Class Jackson resolutely maintained control of the platoon's left flank movement throughout his valiant one-man assault and, by his cool decision and relentless fighting spirit during a critical situation, contributed essentially to the complete annihilation of the enemy in the southern sector of the island. His gallant initiative and heroic conduct in the face of extreme peril reflect the highest credit upon Private First Class Jackson and the United States Naval Service. 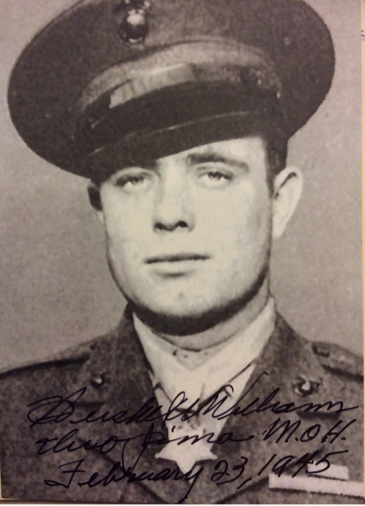 For conspicuous gallantry and intrepidity at the risk of his life above and beyond the call of duty as Demolition Sergeant serving with the First Battalion, Twenty-First Marines, Third Marine Division, in action against enemy Japanese forces on Iwo Jima, Volcano Island, 23 February 1945. Quick to volunteer his services when our tanks were maneuvering vainly to open a lane for the infantry through the network of reinforced concrete pillboxes, buried mines and black, volcanic sands, Corporal Williams daringly went forward alone to attempt the reduction of devastating machine-gun fire from the unyielding positions. Covered only by four riflemen, he fought desperately for four hours under terrific enemy small-arms fire and repeatedly returned to his own lines to prepare demolition charges and obtain serviced flame throwers, struggling back, frequently to the rear of hostile emplacements, to wipe out one position after another. On one occasion he daringly mounted a pillbox to insert the nozzle of his flame thrower through the air vent, kill the occupants and silence the gun; on another he grimly charged enemy riflemen who attempted to stop him with bayonets and destroyed them with a burst of flame from his weapon. 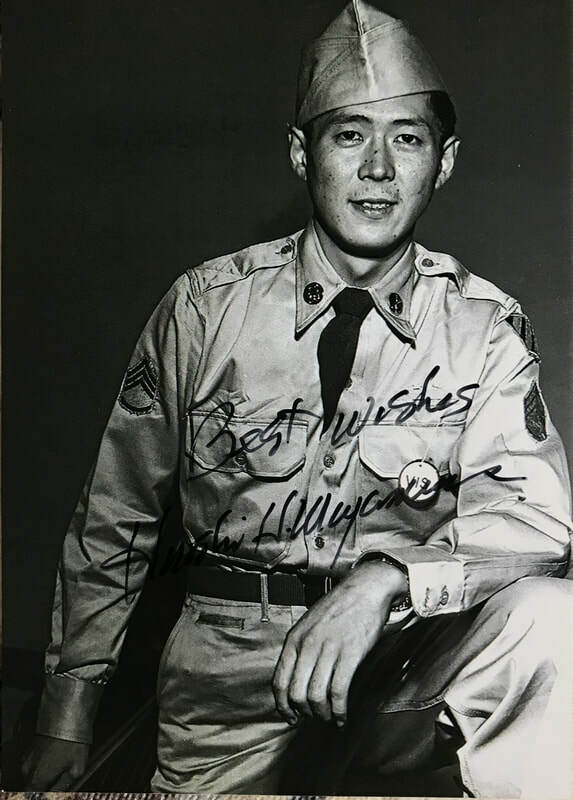 His unyielding determination and extraordinary heroism in the face of ruthless enemy resistance were directly instrumental in neutralizing one of the most fanatically defended Japanese strong points encountered by his regiment and aided in enabling his company to reach its' [sic] objective. Corporal Williams' aggressive fighting spirit and valiant devotion to duty throughout this fiercely contested action sustain and enhance the highest traditions of the United States Naval Service. Cpl. Rosser, distinguished himself by conspicuous gallantry above and beyond the call of duty. While assaulting heavily fortified enemy hill positions, Company L, 38th Infantry Regiment, was stopped by fierce automatic-weapons, small-arms, artillery, and mortar fire. Cpl. Rosser, a forward observer, was with the lead platoon of Company L when it came under fire from 2 directions. Cpl. Rosser turned his radio over to his assistant and, disregarding the enemy fire, charged the enemy positions armed with only carbine and a grenade. At the first bunker, he silenced its occupants with a burst from his weapon. Gaining the top of the hill, he killed 2 enemy soldiers, and then went down the trench, killing 5 more as he advanced. He then hurled his grenade into a bunker and shot 2 other soldiers as they emerged. Having exhausted his ammunition, he returned through the enemy fire to obtain more ammunition and grenades and charged the hill once more. Calling on others to follow him, he assaulted 2 more enemy bunkers. Although those who attempted to join him became casualties, Cpl. Rosser once again exhausted his ammunition, obtained a new supply, and returning to the hilltop a third time hurled grenades into the enemy positions. During this heroic action Cpl. Rosser single-handedly killed at least 13 of the enemy. 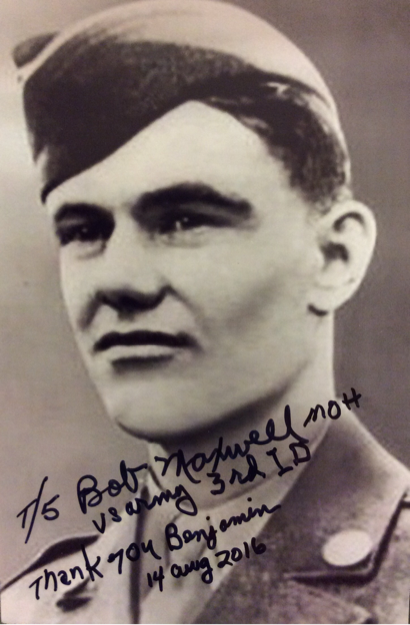 After exhausting his ammunition he accompanied the withdrawing platoon, and though himself wounded, made several trips across open terrain still under enemy fire to help remove other men injured more seriously than himself. This outstanding soldier's courageous and selfless devotion to duty is worthy of emulation by all men. 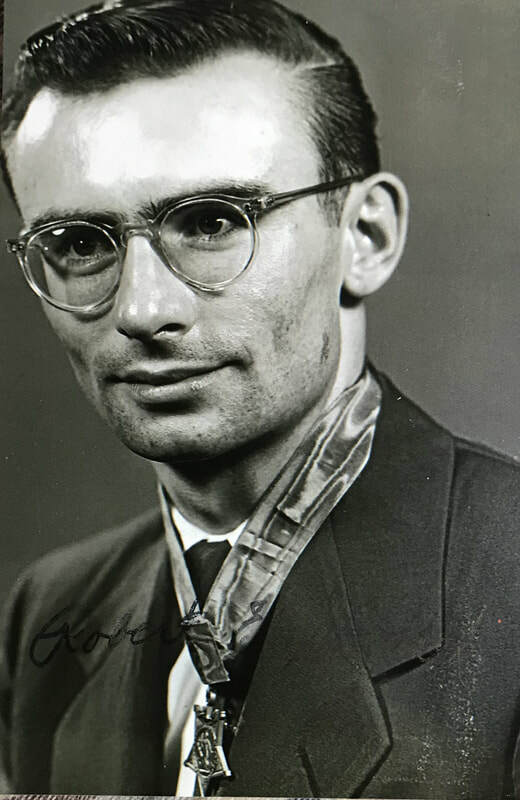 He has contributed magnificently to the high traditions of the military service. For conspicuous gallantry and intrepidity at the risk of his life above and beyond the call of duty while serving as a Gunner in a Machine-Gun Platoon of Company E, Second Battalion, Fifth Marines, First Marine Division (Reinforced), in action against enemy aggressor forces near Panmunjom, Korea, on April 16, 1952. When an enemy grenade landed close to this position while he and his assistant gunner were receiving medical attention for their wounds during a fierce night attack by numerically superior hostile forces, Corporal DEWEY, although suffering intense pain, immediately pulled the corpsman to the ground and, shouting a warning to the other Marines around him, bravely smothered the deadly missile with his body, personally absorbing the full force of the explosion to save his comrades from possible injury or death. His indomitable courage, outstanding initiative and valiant efforts in behalf of others in the face of almost certain death reflect the highest credit upon Corporal DEWEY and enhance the finest traditions of the United States Naval Service. 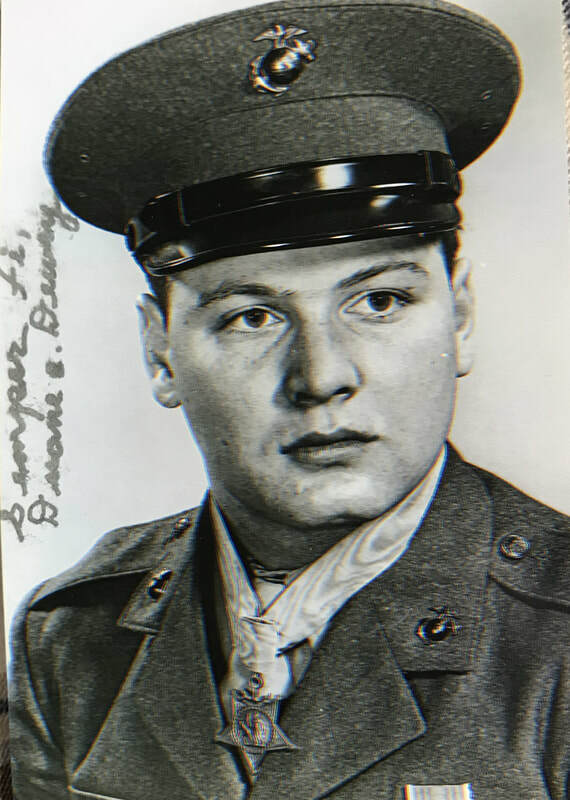 For conspicuous gallantry and intrepidity at the risk of his life above and beyond the call of duty while serving with Company F, Second Battalion, Fifth Marines, First Marine Division (reinforced), in action against enemy aggressor forces in Korea on 17 August 1952. 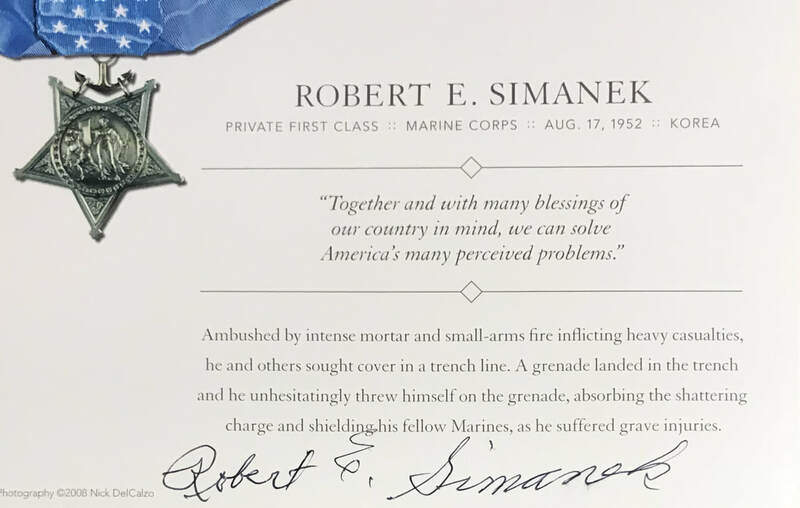 While accompanying a patrol en route to occupy a combat outpost forward of friendly lines, Private First Class Simanek exhibited a high degree of courage and resolute spirit of self- sacrifice in protecting the lives of his fellow Marines. With his unit ambushed by an intense concentration of enemy mortar and small-arms fire, and suffering heavy casualties he was forced to seek cover with the remaining members of the patrol in the near-by trench line. 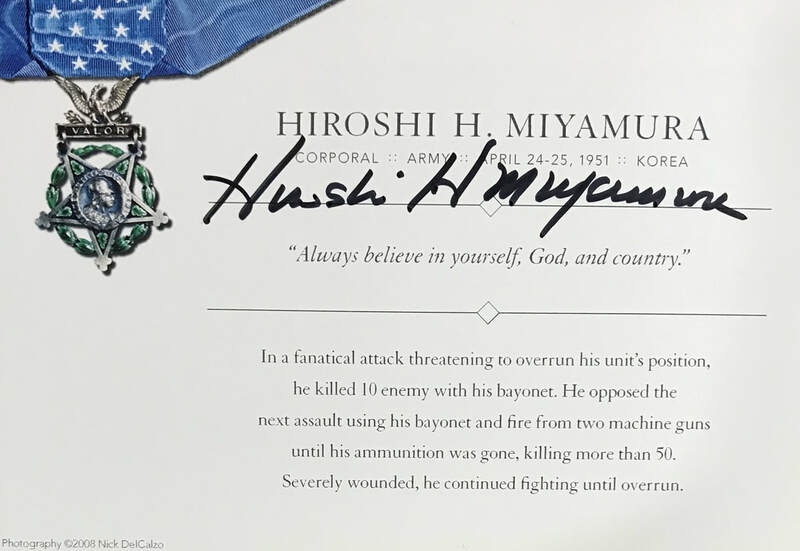 Determined to save his comrades when a hostile grenade was hurled into their midst, he unhesitatingly threw himself on the deadly missile, absorbing the shattering violence of the exploding charge in his own body and shielding his fellow Marines from serious injury or death. Gravely wounded as a result of his heroic action Private First Class Simanek, by his daring initiative and great personal valor in the face of almost certain death, served to inspire all who observed him and upheld the highest traditions of the United States Naval Service.